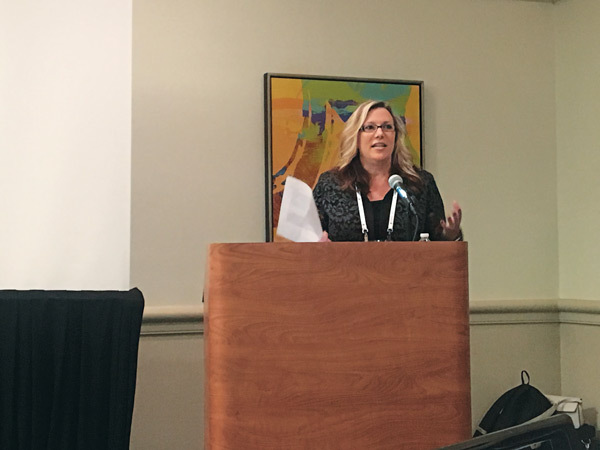 Professional Women in Pest Management (PWIPM) — a National Pest Management Association (NPMA) committee — provides support, education and networking opportunities to women in the industry. 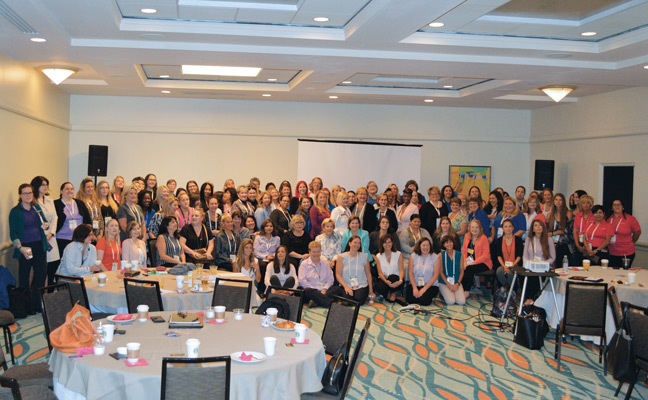 Since 2005, the NPMA has encouraged women to meet up at events such as the networking breakfast held at every PestWorld. The number of women participating has grown each year; get involved at PWIPM.org. 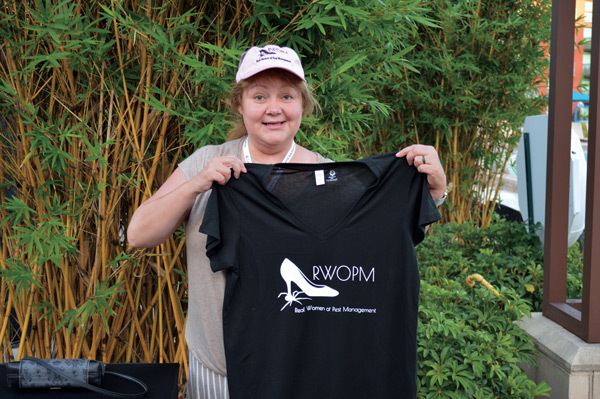 Pam Blauvelt, vice president of operations for Griffin Pest Solutions in Kalamazoo, Mich., and member of the PWIPM committee, shows off the “Real Women of Pest Management” T-shirt and ball cap. 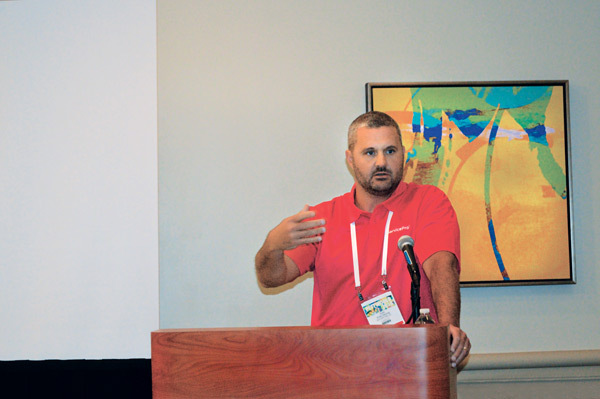 To learn more, contact pwipm@pestworld.org. 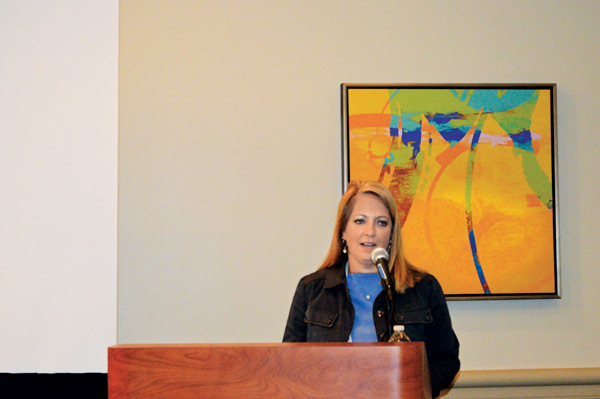 McCloud Services’ Jennifer Shook-Harris, SPHR, SCP, chair of the PWIPM committee, encouraged attendees to “take the time to connect with each other outside this room.” She introduced the 2018 Professional Empowerment Grant recipients. 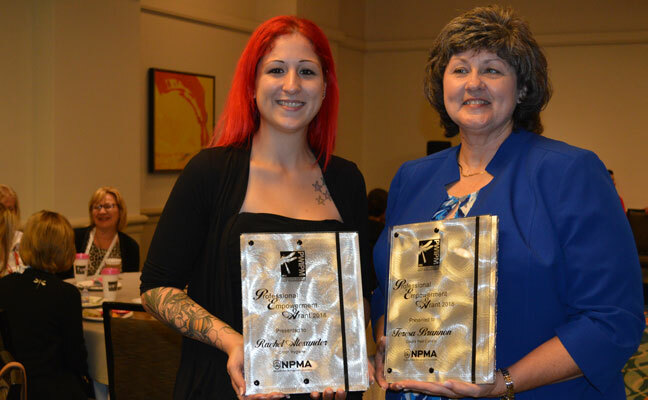 The 2018 Professional Empowerment Grant recipients are Rachel Alexander, multi-residential exterminator, Citron Hygiene, Ontario, Canada, left, and Teresa Brannon, state commercial sales supervisor, Cook’s Pest Control, Ala.